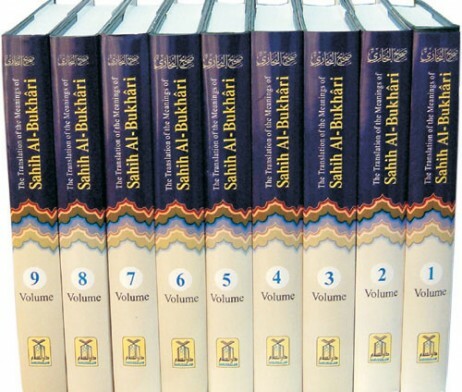 – This 9 volume set of Bukhari's hadith (original Arabic text and corresponding English translation) is considered the gold standard in terms of complete books of hadith. – Generally regarded as the single most authentic collection of Ahadith, Sahih Al-Bukhari covers almost all aspects of life in providing proper guidance from the messenger of Allah. 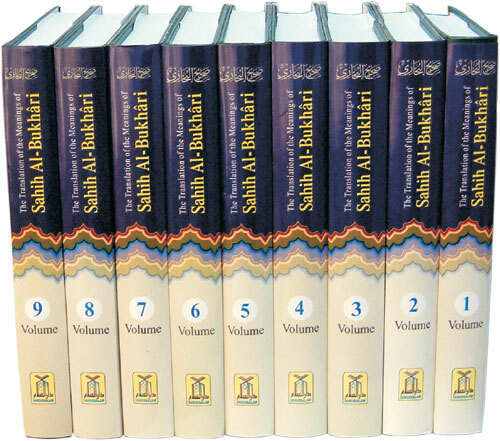 This 9-Volume Bukhari is the work of over 16 years by Imam Bukhari who before writing any Hadith in this book performed two Rakat prayer of guidance from Allah and when he was sure of the Hadith's authenticity, he wrote it in the book. Tremendous amounts of errors exist in the translations by other translators. To eliminate the problem Dar-us-Salam spent over 3 years in the publication of this book and presented a book which is translated into English in a very easy & simple language, so that all readers can understand it without difficulty. 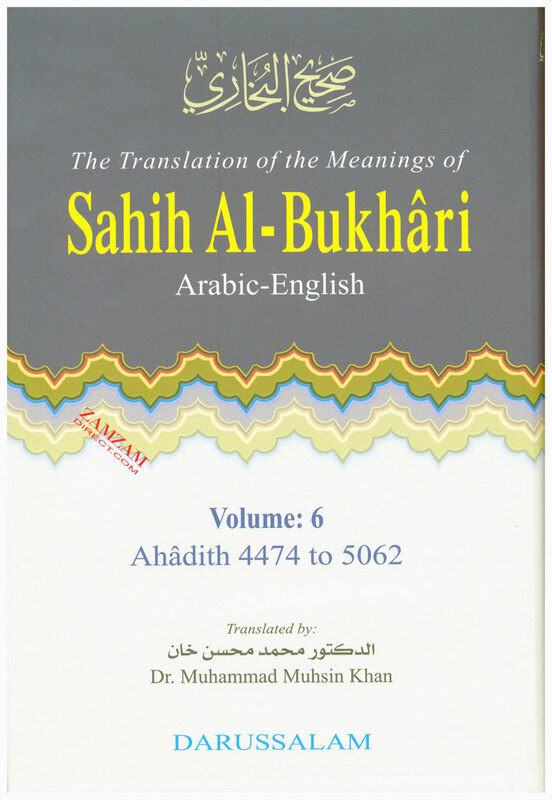 – This 9 volume set of Bukhari’s hadith (original Arabic text and corresponding English translation) is considered the gold standard in terms of complete books of hadith. – Generally regarded as the single most authentic collection of Ahadith, Sahih Al-Bukhari covers almost all aspects of life in providing proper guidance from the messenger of Allah. This 9-Volume Bukhari is the work of over 16 years by Imam Bukhari who before writing any Hadith in this book performed two Rakat prayer of guidance from Allah and when he was sure of the Hadith’s authenticity, he wrote it in the book. Tremendous amounts of errors exist in the translations by other translators. To eliminate the problem Dar-us-Salam spent over 3 years in the publication of this book and presented a book which is translated into English in a very easy & simple language, so that all readers can understand it without difficulty. – This is the unabridged version consisting of 7563 ahadith (about 4000 pages) which are presented neatly in smaller books format and printed on fine paper. Each book (subtopics in each volume categorized by very broad topics such as the Book of As-Salat) contains many chapters which represent one logical unit of Ahadith. Each book contains anywhere from one to 150 chapters with each chapter containing several Ahadith. This book will be a great addition to your library while giving you a true perspective on the traditions of the Prophet (PBUH). – In Imam Bukhari’s ‘Al-Jami-al-Sahih’ (Sahih Al Bukhari) the Imam had recorded all the Sayings of the Prophet which he found to be genuine after thorough examination and scrutiny. He spent sixteen years in research and examined more than sixty thousand Sayings from which he selected only sayings whose genuineness and accuracy he established beyond the slightest doubt. Deducting duplicates, the Imam’s collection contain about four thousand distinct Sayings. The subject of rights and duties of women in Islam has often been clouded by controversy, personal opinions and sheer ignorance. Although many scholars have dealt with this subject, there has remained a need to discuss wider aspects of the issue. 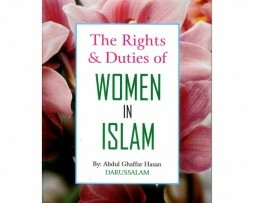 The purpose of this booklet is to remove some of the misunderstandings, prejudiced opinions and false hoods which circulate about the Rights and Duties of Women in Islam. “The Muslim Heritage of Bengal” is a multidimensional work. . . . I am sure this book will add to the vista of knowledge in the field of Muslim history and heritage of Bengal. I recommend this work.”–A. K. M. Yaqub Ali, PhD, professor emeritus, Islamic history and culture, University of Rajshahi”Khan’s book provides invaluable information which will inspire present and future generations.”–M. Abdul Jabbar Beg, PhD, former professor of Islamic history and civilization, National University of MalaysiaA popular history that covers eight hundred years of the history of Islam in Bengal through the example of forty-two inspirational men and women up until the twentieth century. Written by the author of the best-selling “The Muslim 100.”Included are the prominent figures Shah Jalal, Nawab Abdul Latif, Rt. Hon. Syed Ameer Ali, Sir Salimullah Khan Bahadur, and Begum Rokeya.Muhammad Mojlum Khan was born in 1973 in Habiganj, Bangladesh, and was educated in England. He is a teacher, author, literary critic, and research scholar, and has published more than 150 essays and articles worldwide. He is the author of “The Muslim 100″ (2008). He is a fellow of the Royal Asiatic Society of Great Britain and director of the Bengal Muslim Research Institute, United Kindgom. He lives in England with his family.